This shoe represents my second foray into using a lasercutter to fabricate footwear. Except for the laces and a cork filling in the sole, this shoe is made entirely of lasercut leather. 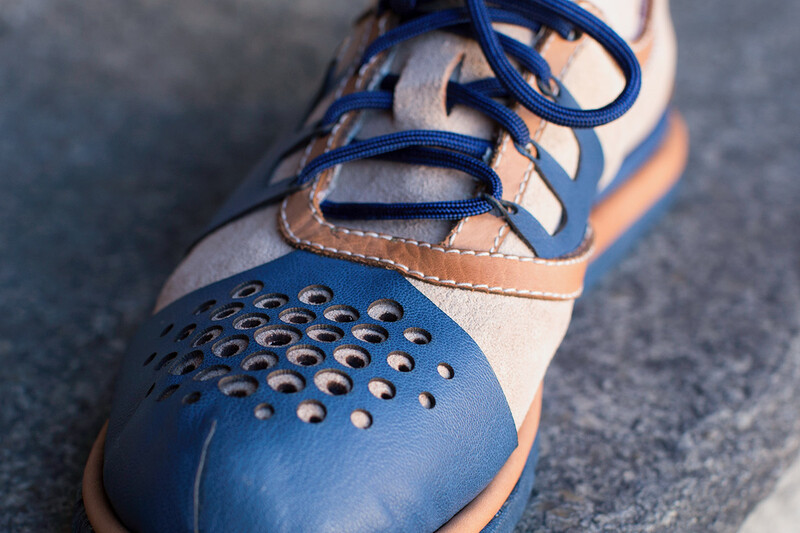 Layered calfskin, suede, and kidskin were used in the upper for variable support and flexibility, while lasercut vents in the toe allow for superior breathability. The sole integrates layers of lasercut soling leather, finished with hydraulically-embossed kidskin for a durable and uniform surface. This shoe represents my second foray into using a lasercutter to fabricate footwear. 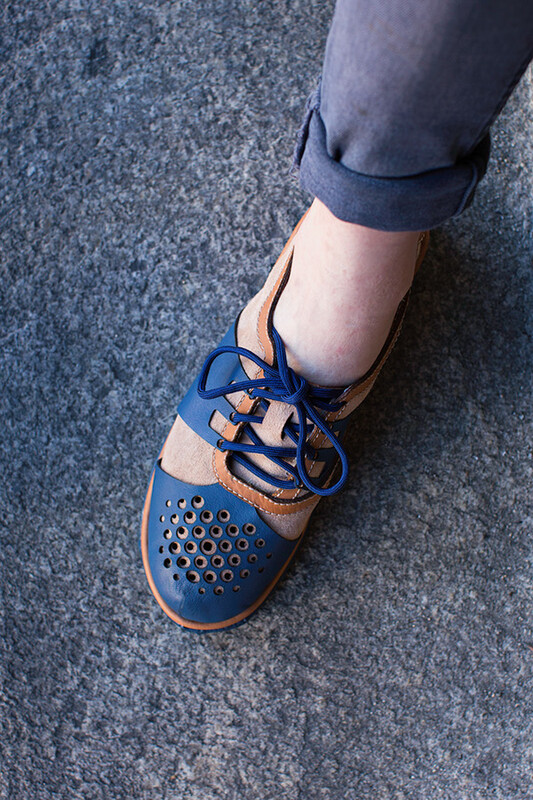 Except for the laces and a cork filling in the sole, this shoe is made entirely of lasercut leather. 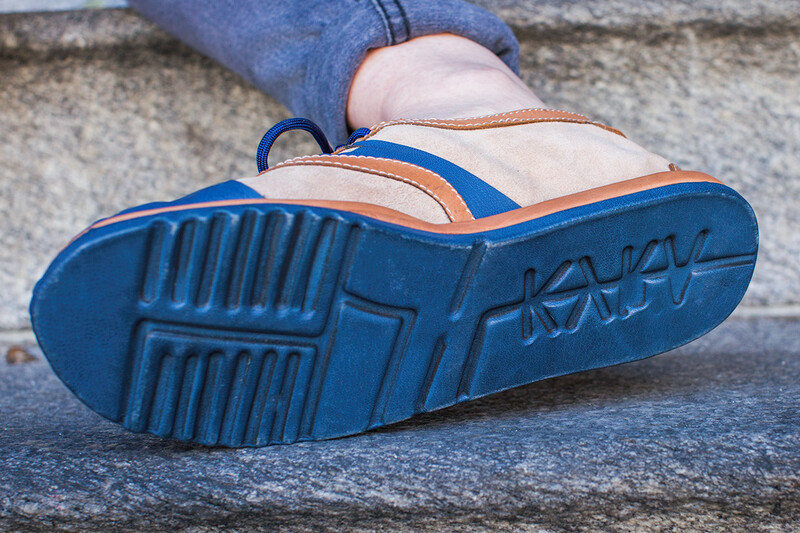 Layered calfskin, suede, and kidskin were used in the upper for variable support and flexability, while lasercut vents in the toe allow for superior breathability. 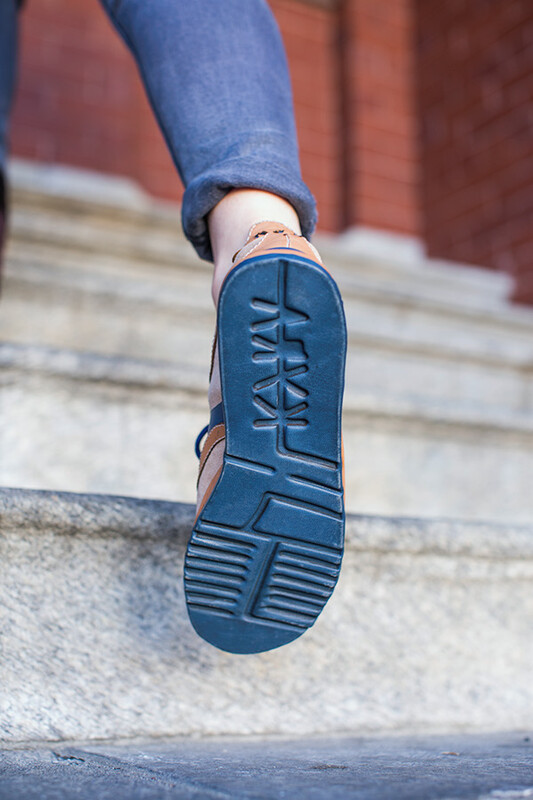 The sole integrates layers of lasercut soling leather, finished with hydraulically-embossed kidskin for a durable and uniform surface.